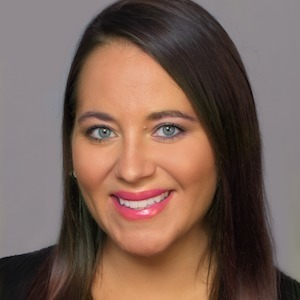 Jenessa Cesarz is a licensed real estate broker with the creativity, tenacious drive and intricate eye-for-detail that you need to get the absolute most out of today’s real estate market. Native to Michigan, Jenessa moved to Chicago in 2007, right at the height of the Chicago Bears Super Bowl run. She instantly fell in love with the city and found that innate municipal pride quickly rubbing off on her. Since then, she has become a trustworthy expert of all things Chicago who her clients can turn to for information on each and every one of the distinctly unique neighborhoods that call this great city home. Jenessa specializes in working with buyers to help them find the one ideal property that is out there and waiting for them to turn into a home. Jenessa graduated from the Honors College at the University of Western Michigan with a degree in Textiles and Design. That overly developed eye for design has led her to be able to help her clients visualize the space of a property and imagine all the possibilities within a space. Jenessa recently purchased a home in Mayfair with her boyfriend and three “babies” (Miniature Pinschers- Zoë, Porky & Minnie). When she isn’t spending time with her fur babies, she enjoys playing on & captaining her competitive softball teams and participating in vintage markets, where she markets & sells refinished and repurposed vintage items, a hobby of hers.